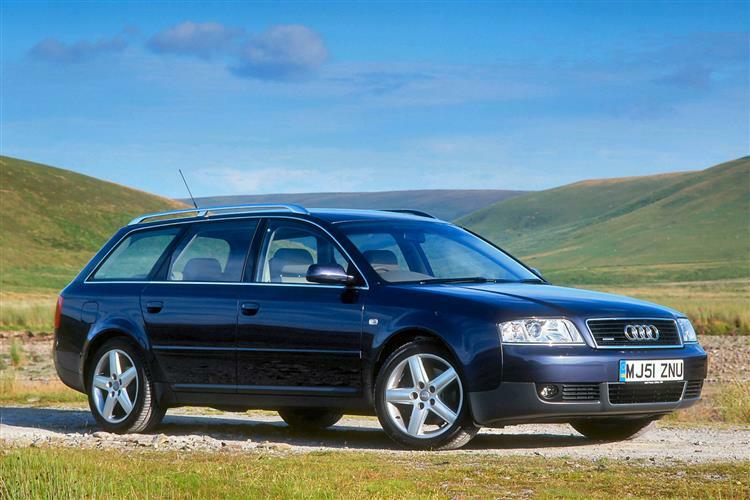 It's fair to say Audi's A6 Avant changed the way we think about big estate cars. Prior to its launch, estates were rather unsexy blocks that were a far sight less desirable to most than the saloon car upon which they were based. The A6 Avant was different. It was the first estate car that really seemed better looking than the hatch it was based upon. What's more Audi weren't shy in developing the car either, offering a number of excellent turbodiesels, powerhouse S and RS versions and even the Allroad offshoot. Although you can buy cars that look a good deal more modern, the A6 Avant is still a class - and very desirable - act. 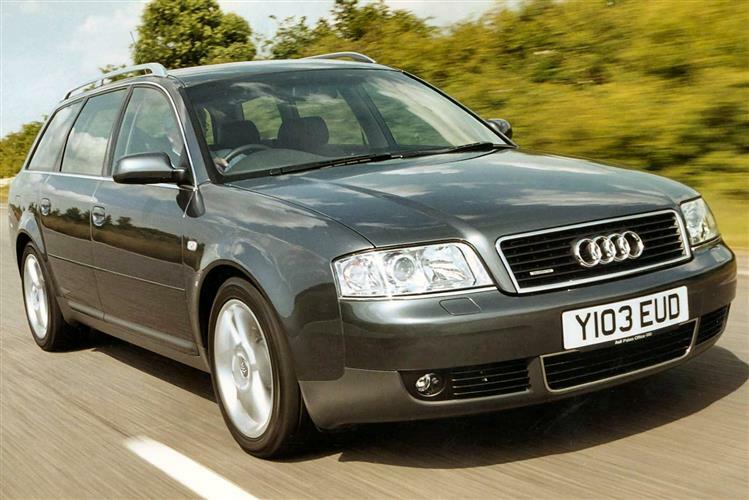 The A6 Avant debuted in May 1998 and offered executive estate customers a new benchmark in sophistication and style. Entry level buyers got a spirited 1.8-litre four-cylinder turbo but the 2.4-litre V6 offered a good deal more torque. The 1.8T proved more popular, though, on account of its lower fuel bills. Like the larger 2.8, the 2.4 came with manual or automatic transmission, both with five speeds, and the self-shifter also offered Tiptronic clutchless manual operation at the driver's whim. The 1.8 had a more conventional four-speed auto and early 2.8s offered the choice of two wheel drive or quattro 4WD. A 150bhp 2.5-litre V6 turbo diesel engine, with or without quattro 4WD was also offered. Trim was either a lavish 'base' specification including twin airbags and climate control air conditioning or SE with alloy wheels, trip computer, front centre armrest and numerous other enhancements. The long-bonneted 295bhp 4.2 V8 quattro debuted (with the A8's engine) in February 1999 and a 230bhp 2.7-litre V6 turbo Avant followed in June. Around this time the 2WD 2.8s were dropped, a clever new six-speed CVT 'Multitronic' automatic gearbox was introduced and interior fabrics and equipment were slightly revised. Late in 1999, the twin-turbocharged 4.2-litre V8-powered 340bhp S6 flagship auto-only model made its debut. Early in 2000, TDI quattro models were replaced by a 2.5 TDI quattro Sport variant with power up from 150 to 180bhp. April 2000 saw the introduction of the Allroad, a more rugged 'lifestyle' 4x4 estate based on the A6 Avant. 2001 saw a further revision to the A6 range. The 'double radiator grille' that previously only adorned the range-topping eight-cylinder A6 models was adopted across the range as were clear glass headlamp covers, whilst the standard lights were increased in size. The rear lights came in for a makeover too, with the reversing lights made almost cylindrical in appearance, and visible tailpipes made an appearance. The engine and transmission options multiplied. Two new petrol engines were available; the 2.0-litre 130bhp four-cylinder unit and the 3.0-litre V6 that developed 220bhp. The 2.4-litre engine gained 5bhp to 170bhp. Big revisions were made in the provision of diesel engines. Out went the 115bhp 1.9-litre TDI engine, replaced by the gutsier 130bhp, and in came a 2.5-litre V6 TDI unit developing 155bhp, slotting in beneath the muscular 2.5-litre TDI 180-bhp engine that headed up the diesel range. In summer 2002 the 155bhp 2.5-litre diesel received a small boost up to 163bhp. At the same time the Sport variants were given a boost to their equipment list. The grand finale for this A6 came in the spring of 2004 with the unveiling of the RS6 Plus Avant, a limited edition car with 480bhp. Just before a new Avant arrived in the Spring of 2005, a Final Edition run-out model was offered with high specification. A6 Avant buyers generally don't want to cart grandfather clocks about - which is just as well for with a boot capacity of 455 litres, the A6 has less room in the back than most estates from the next class down. But then, the company's executive estate cars have never been huge capacity carriers in the Volvo mode. In varying degrees, style has taken precedence over space. The key is in getting the balance between the two just right and in the latest A6 Avant, we'd suggest that the designers have hit the mark almost perfectly. Audi like to describe the car as a 'five-door coupe'. Most would simply agree this to be the most handsome estate you can buy; certainly, it's better-proportioned than its awkward-looking German rivals. Part of this has to do with the fact that Audi has done more than just add a box-shaped rear end and tailgate to the back of its A6 saloon. Ingolstadt did the job properly, developing a completely new windscreen and different door pillars to give the design the right balance. The roofline's higher too, giving more headroom at the rear. The avant is generally a pretty tough customer with a solid interior and a rust proof body. The only real issue is to look out for ignition coil problems on the early 1.8T engines as this can prove problematic. Fortunately Audi has got its house in order when it comes to back ordering this part. The quattro system is reliable and well proven but it's best not to allow a local spannerman to fiddle with it. The complexity of the car should be enough to ensure you insist on an A6 with a cast-iron service history and, at this stage, Audi dealers are still likely to have the best examples. The premium they charge may be well worth your peace of mind. Interiors are hard wearing and well designed, much like the rest of the car. As for corrosion, with an Audi you're pretty safe and there's a lengthy anti-perforation warranty to reassure you (ensure any conditions have not been breached by previous owners). (based on a 1999 1.9 TDI SE Avant - ex Vat) A clutch assembly is around £150. Front and rear brake pads should be about £65 a set. A radiator is about £140, an alternator about £235 and a starter motor £160. A6 Avant performance is certainly more than adequate; both at the pumps (where the 1.9-litre TDi averages 40mpg) and on the test track - where even the 1.8T makes 60 in 9.4s on the way to 136mph. To be fair, however, V6 power suits the car better. The 2.4-litre unit is impressively refined and far less frantic, recording 9.1s and 141mph. Stretch if you can to the gorgeous 2.8 V6, 2.7T or V8 4.2-litre models which, in desirable quattro form, answer tractional questions that rivals haven't even thought about. The A6 Avant is certainly a lighter, more agile car than its predecessor and feels it to drive. Audi claims a 35kg reduction in weight compared to the previous model - one reason why the fuel consumption figures are around 7% better across the range. There's little not to like with the A6 Avant - it's genuinely a very complete car. Newer rivals may be a little edgier looking but few possess such a broad array of talents. The 2.8-litre petrol and 2.5-litre TDi engines remain the pick of the bunch although the RS6 Avant must be sampled once in your life.